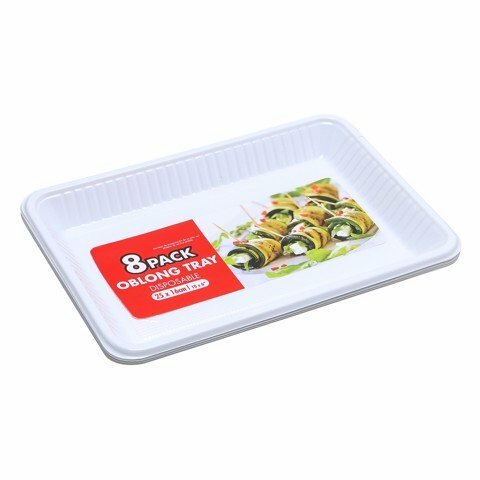 Partyware Tray Oblong Wht 8Pk. Outer Edge 27 x 18 x 3cm l Inner Edge 25.5 x 16.5cm. White. PS. 157g Packaging: OPP Bag with Colour Insert.